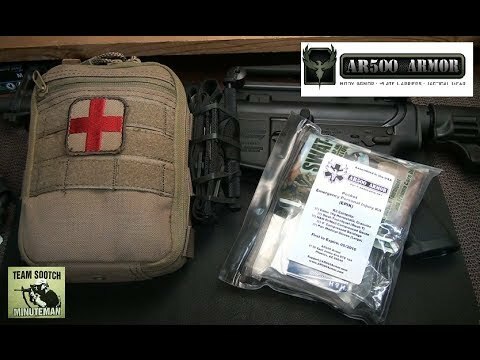 The AR500 Armor Pack EPIK is a high value medical kit loaded with the necessary essentials to combat traumatic bleeding wounds. Packaged in a durable and re-sealable aLOKSAK, our Pack EPIK is compact and easily fits into your backpack and other small compartments. Stores easily in your glove box, range bag, luggage, trunk, or desk drawer. The Pack EPIK is completely portable and easy to store. 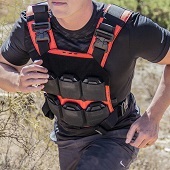 Complete with a compact Tourniquet, Chest Seals, and an extra-large packet of Celox Hemostatic Granules allowing the Pack EPIK to rival the capabilities found in larger and more expensive medical kits. The Pack EPIK includes Quikclot 50g Hemostatic sponge, FoxSeal Chest Seals (or equivalent), Swat-Tourniquet (Swat-T), H&H Thin-H Emergency Bandage, H&H PriMed Compressed Gauze, Waterproof Medical Tape, Medical Gloves, and a re-sealable aLOKSAK.